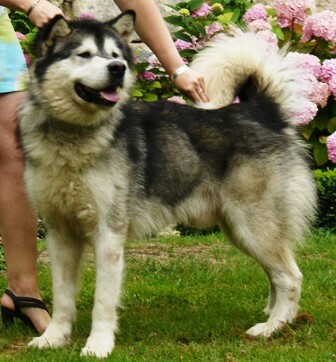 A Malamute is your best friend for life not just for X-mas! So Akima-Gayuk Alaskan Malamutes test their puppies at 7 weeks on caracter and temperament to make sure the puppy and it's new owner(s) fit toghether for life! 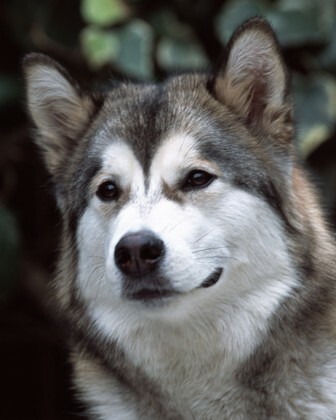 Hanneke-Cysouw-Reitsema, our puppy-tester, runned dogschool Echo from 1992-2003, is a dogbehaviour therapist and a Malamute and Icelanddog-owner. Hanneke also is the artist who made the puppy-logo and many more drawings and paintings: go see!